Can we all agree that there is something special about the taste of a locally grown tomato – unless of course you don’t like tomatoes. The same can be true of other fruits and vegetables grown in our own gardens or produced by a local farmer. Beyond the taste, there is something to be said about food being produced in the region rather than shipped across the state, country or even oceans. There is a renewed appeal in local. We are blessed to live in a region where our soils are productive and when cared for, continue to supply food that is nutritional, and provide both economic and social benefits in our community. If growing fruits and vegetables isn’t your thing, you lack time or space, or have too much shade, knowing that you can support local growers that produce food can be just as important as growing it yourself. While some of us don’t need a reason to celebrate our passion for plants, especially edible ones, designating a week to bring attention to a topic is good idea. Ohio will be celebrating local foods August 4 – 11, 2018. 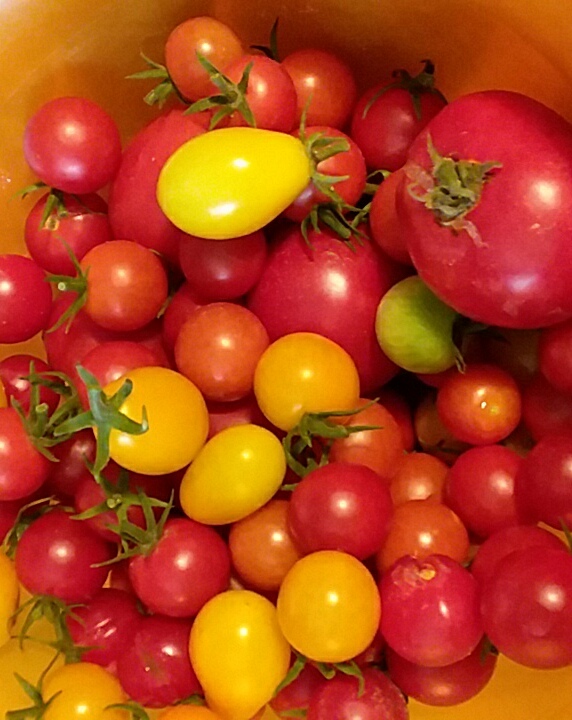 OSU Extension encourages individuals, families, businesses and communities to grow, purchase, highlight and promote local food all of the time, but with an added emphasis during this week. Everyone is invited to participate in the Ohio Local Foods Challenge by highlighting your local food purchases, garden harvests, home food preservation, or locally sourced prepared dishes from your kitchen or favorite restaurant. So get out in the garden, visit a farm stand or farmers market, and share your food story. We can’t wait to view your photos and see how you celebrated Ohio Local Foods Week 2018.